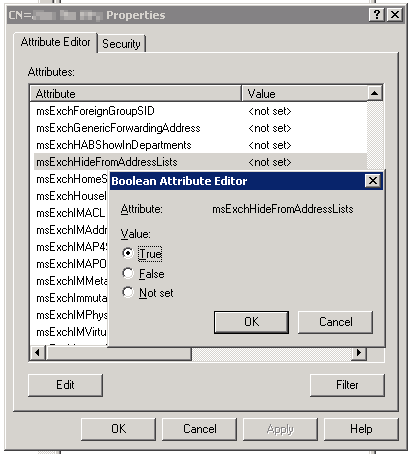 For me the issue was msExchHideFromAddressLists attribute was not syncing to Azure AD. Followed the below to add the rule. 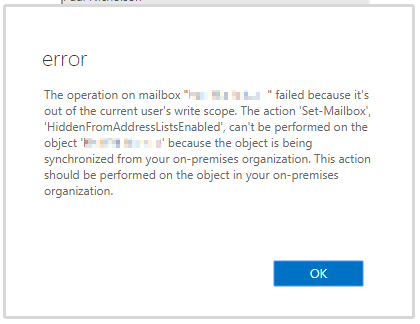 I can’t hide an O365 user from address list one by one. How to hide them by one time? I ran the setup /prepareschema /iacceptexchangeserverlicenseterms, however I do not see the attributes in attribute editor. Yes, I have filtering turned off for only showing attributes with values. 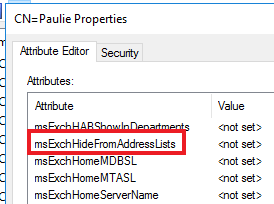 I can go into the Schema container of ADSIEdit and see the attribute of CN=ms-Exch-Hide-From-Address-lists so I know I successfully extended the schema. What do I need to do to be able to see these attributes in the users Attribute editor? Yes, all of this was done on the domain controller that is the schema master. Yes I did all this on an account with schema admin, enterprise admin and domain admin rights. My wild guess is that maybe the Filter ‘button’ in the Attribute Editor tab of ADUC is set to “Show only attributes that have values”? 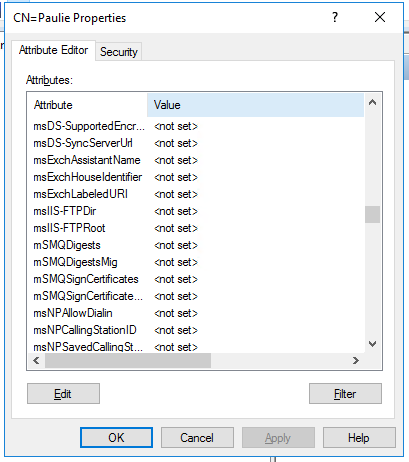 Especially if you never had an on premise Exchange; as you’d not see *any* of ‘ms-exch’ values for a given user.